Keep your data protected as your business grows and changes with the times. Whether you're adding apps, devices, or moving to the cloud, Microsoft 365 ensures your data is secure without overburdening your security team. 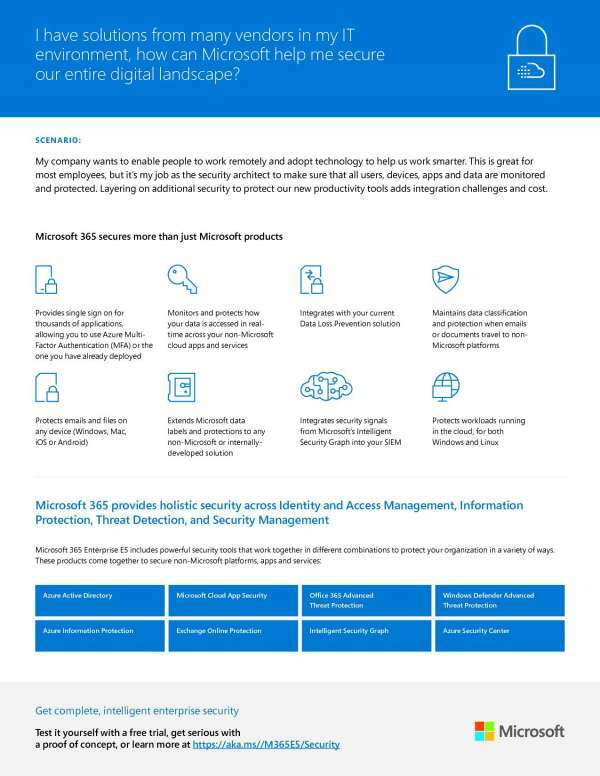 For Microsoft 365 to truly be a comprehensive solution for your business and reduce the burden on your IT teams, it needs to secure more than just Microsoft products. That's why Microsoft 365 is built to protect your data wherever it lives, whether in your on-premises server or on the cloud on Windows or Linux, and wherever it goes, even when documents travel to non-Microsoft platforms. At Digital 360, we want to support your IT teams in keeping your data secure, no matter where it goes. Contact us to learn more.